Hydro Enterprises, Inc. (HEI) via A Better Community for All (ABC4All) will offer free samples of Plasma Activated Water (PAW) to persons attending A CELEBRATION OF ONENESS in Pasadena, California on December 9 and 10, 2006. Representing a discovery in a physics laboratory in Van Nuys, California, PAW offered will have a pH of 9.5. HEI, with proprietary technology, can produce PAW at 2.5 pH which has been scientifically demonstrated via independent laboratory testing to be antiviral and antibacterial. Thus the water can used for purposes of sterilization and disinfection. Celebration of Oneness is a participative multi-media experience featuring New World musicians, award-winning filmmakers, renowned artists, visionary speakers, workshops and more, all focused on empowering us to be at one with our hearts, minds, bodies, communities and Earth. Celebration of Oneness will also include a 180-booth exposition featuring products and services in the areas of natural health, environmental sustainability, earth-friendly fashions, yoga and more! PAW, not available commercially, is a new kind of very healthy water, discovered by accident in a physics laboratory: 2.5 pH is used for disinfection/ sterilization purposes. 9.5 pH is for human consumption and has been very helpful in promoting health maintenance. 11.0 pH is to be used by health professionals in small quantities with their patients/clients. The Oxidation Reduction Potential (ORP) of PAW is negative: "The oxidation-reduction potential may be expressed as the ability to give or receive electrons and is expressed in terms of millivolts." Samples provided are 9.5 pH. Ordinary water from the tap will have pH around 7.0 and ORP positive, not negative like PAW (range can be up to -750 mV, typically -250 mV). PAW refrigerated will maintain its ORP better and longer (days to weeks). PAW frozen, e.g., into ice cubes, will maintain the ORP longer (weeks to months). PAW is still very healthy to drink if kept at room temperature. It can be used in hot drinks and can be boiled without a concern. Recent studies have shown that PAW retains its pH, stable in or outside of the refrigerator (months to a year or longer). Some people who are more sensitive may experience a gastrointestinal (GI) reaction at first, and if so, drink less or wait some time before taking more (or let a day go by). Everyone is different, so some can tolerate large amounts of PAW right away without such a GI reaction. One can start by drinking a small amount, increase over time slowly (e.g., as little as one ounce a day and see how it goes from there). Drinking increasing amounts each day is another option while you see how it goes. Other people start by drinking one or more cupfuls and have no reaction at all, even half a gallon or more a day! There is a tendency to urinate more frequently as PAW has superior absorbability characteristics and seems to "do its thing" in the body more efficiently and quickly. It is thought that such increased frequency of urination can assist the body with detoxification. In short, it is "a good thing." Some, even those who drink large amounts of PAW (e.g., 1 gallon a day), have a sensation as if no water has been consumed at all, for example overnight. This may be because it is so efficient in going through the body that it is easy to reach the point of feeling parched, even when you know that is not the case. Just try drinking more PAW if you get thirsty! PAW can be used in any cooking -- i.e., coffee, tea, soups, etc. Heat does not destroy its beneficial properties. Anyone wishing to share reactions to PAW can write ABC4All P. O. Box 1624, Manhattan Beach, CA 90267-1624, Phone a message here 310-712-5477. General Drinking Guidelines for Optimal Hydration: The following are general guidelines for proper hydration with maximum benefits afforded to the body with such practices: How to drink your way to your ideal weight: Drink only GOOD water! Drink at least 1 liter of good water for every 30 pounds of body weight each day. Drink at least 1 liter of good water when you first get up in the morning. This helps to flush out your kidneys, bladder and bowels, as well as re-hydrates and energizes or charges your body with electrons. Drink one 16 oz glass every hour, or 1 liter every 2 hours. Drink most of your water between meals. Drink at habitual times throughout the day; don't wait until you are thirsty or hungry. Drink an extra liter of water for each hour of exercise. Drink warm water to ease congestion or constipation. Drink 16 oz at the end of each day. Appreciation is expressed to Mike and Art Ohannesian, Managers, UPS Stores in Manhattan Beach and in Rolling Hills Estates, for their generous support of this humanitarian project, having assisted with shipping of PAW across the US and into Canada! A Better Community for All (ABC4All)Creating the ABC4All HEALING MODE for the World (ABC4AllHMW) Burton Danet, Ph.D., Co-Founder, ABC4All Picture taken 06/18/2004, 3 months after starting to consume Plasma Activated Water (PAW). Prior picture from 2003 for Driver's License depicts person who was no longer succeeding in rehabilitation efforts from multiple ills. 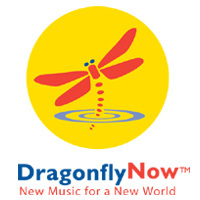 DragonFlyNow FoundationSponsor of A CELEBRATION OF ONENESS in Pasadena, California December 9-10, 2006 where samples of Plasma Activated Water (PAW) will be distributed FREE. Burton Danet in 2003A picture is worth 1000 words.